Hats off to the OHS Varsity Cheerleaders for an AWESOME Job at UCA Summer Camp. The ladies represented their home town with Pride. Five Cheerleaders participated in All-American tryouts and all five of our girls made it. Congratulations to: Cristina Veliz, Brooke Sorrells, Cassandra Flores, Allie Laurel, and Christi Hernandez. The OHS Varsity Cheerleaders were also awarded top honors by receiving a trophy for Superior Squad and second place trophy for Cheer. Additionally, they received five Blue Ribbons for Excellence and brought home the Banana for demonstrating OUTSTANDING SPIRIT! This is a huge honor as all squads competed to take home the Banana. UCA Staff selected 8 girls who demonstrated leadership to receive a Pin-It-Forward pin from all participating cheerleaders camp. Congratulations to Christina Veliz and Brooke Sorrells for receiving this honor. Honored with the most prestigious award was our very own Christina Veliz. She was recognized and asked by UCA Staff to tryout for UCA Cheerleader. GREAT JOB LADIES! 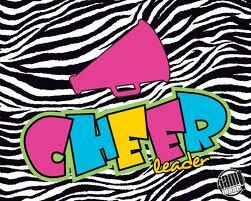 Information on the annual youth cheer camp and performance will be posted soon. Cheer OHS....the Best of the Best!